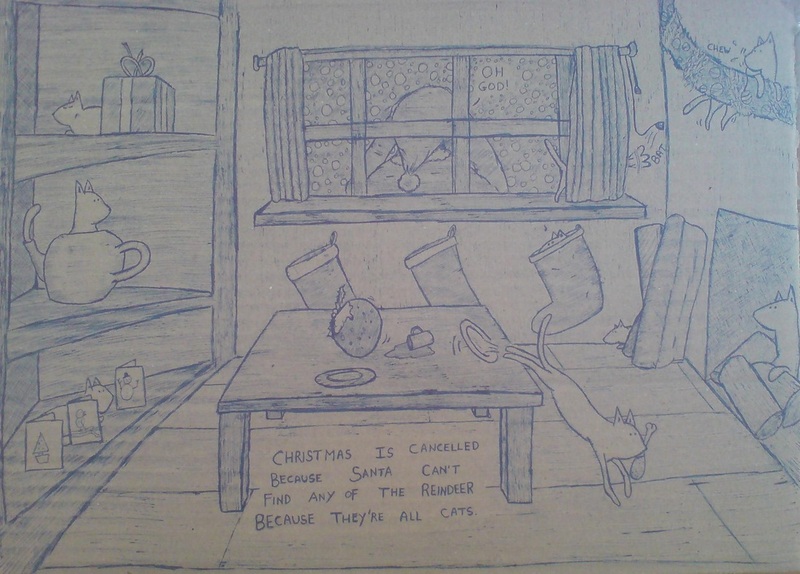 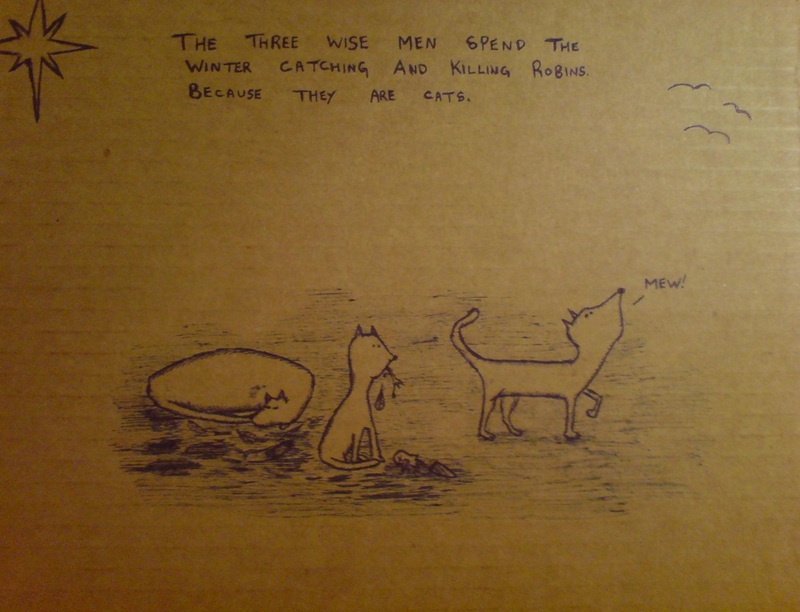 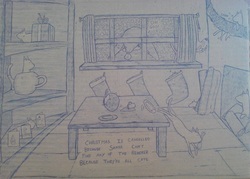 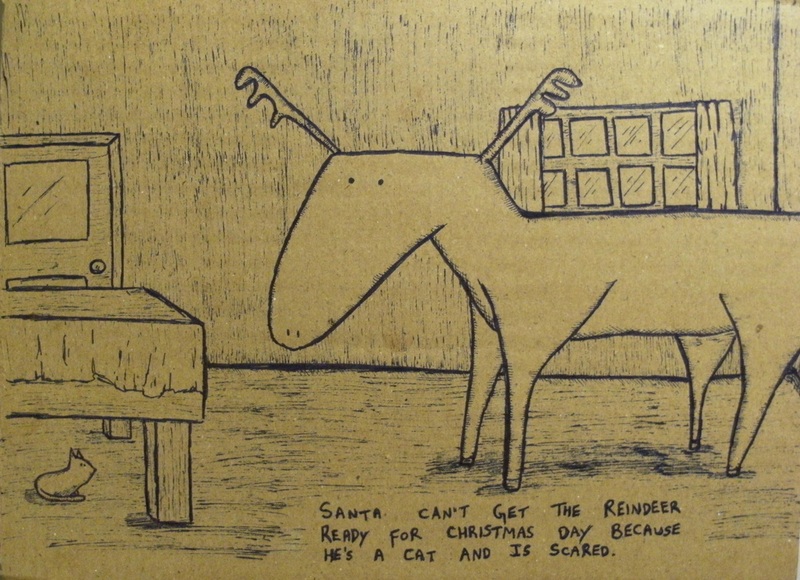 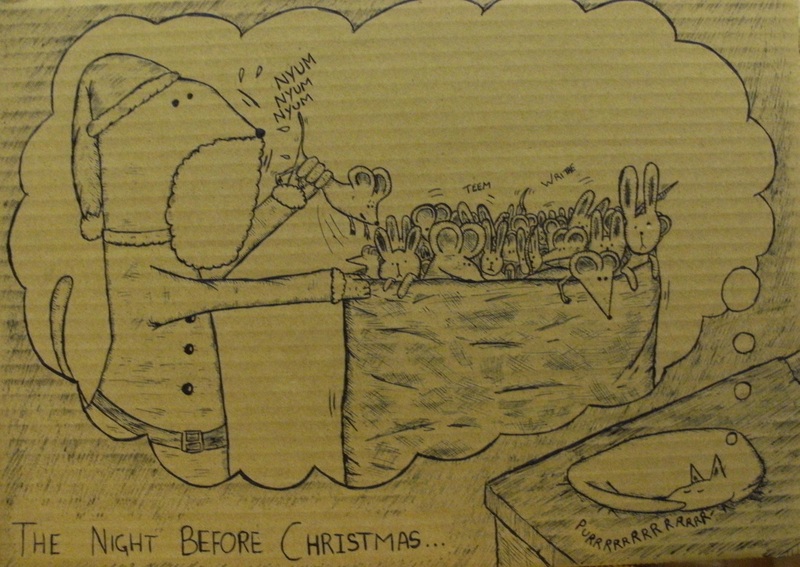 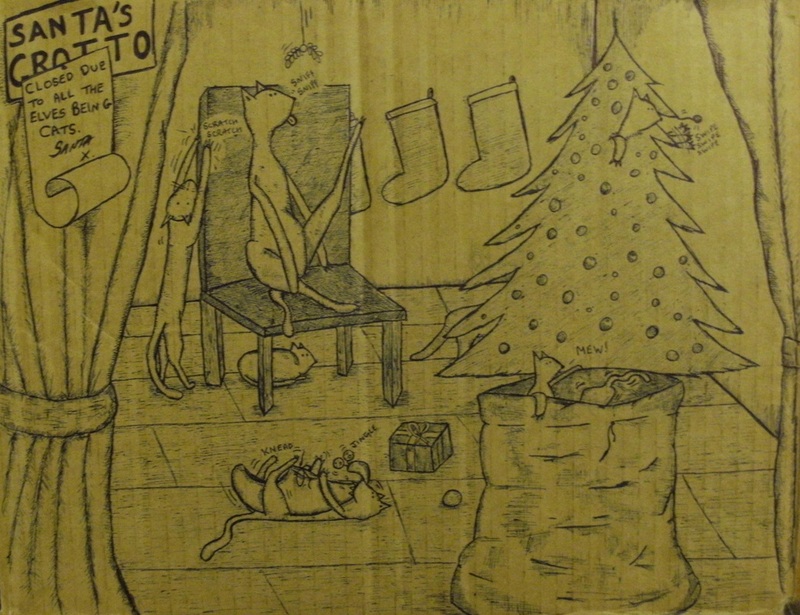 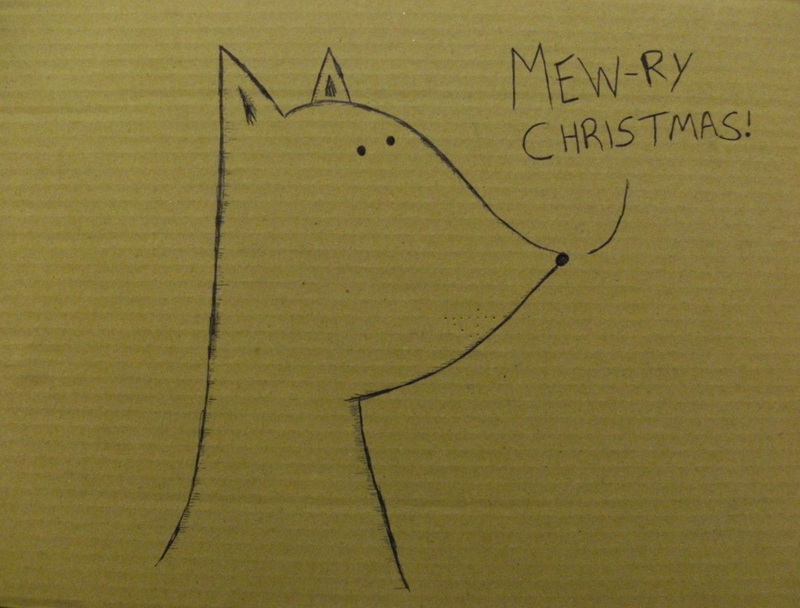 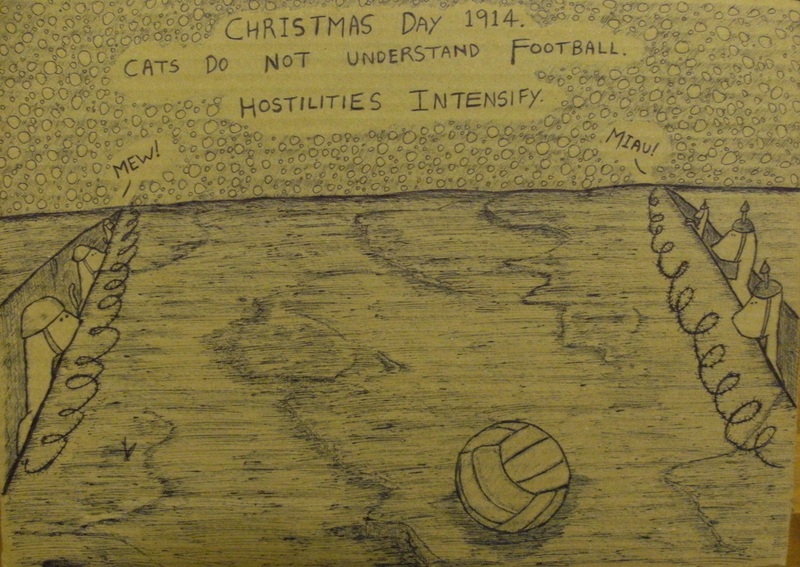 In December 2010 I took it upon myself to draw one seasonally themed picture involving cats a day up until Christmas eve. 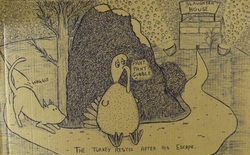 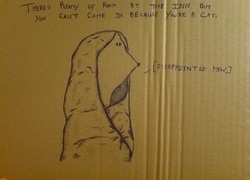 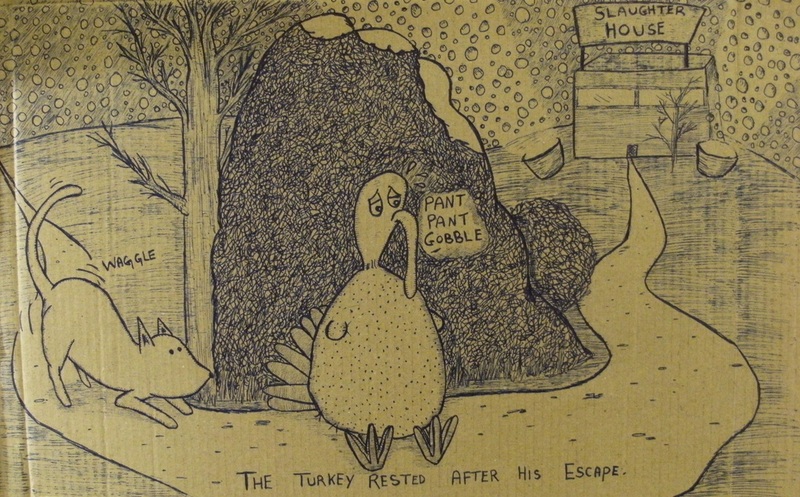 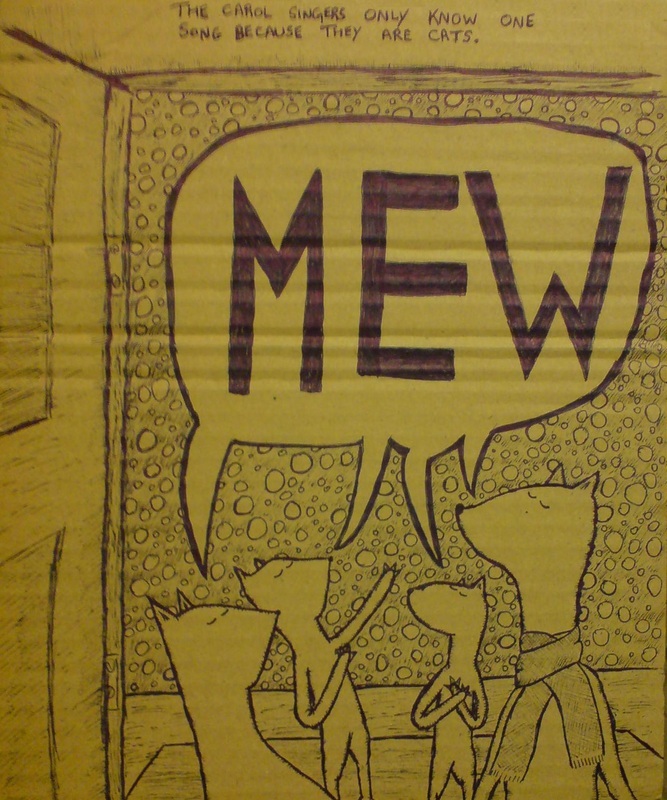 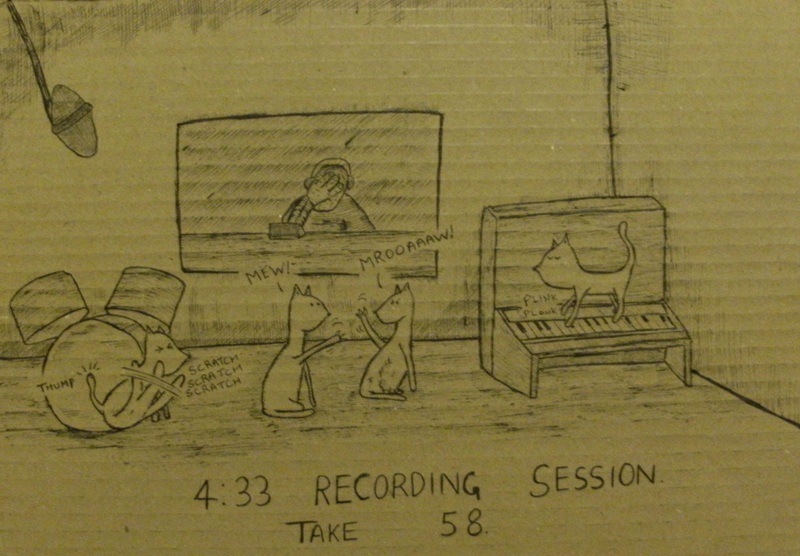 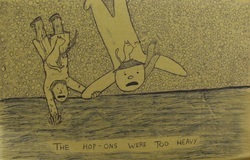 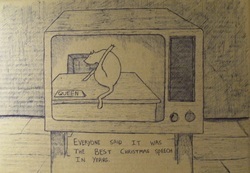 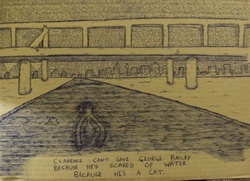 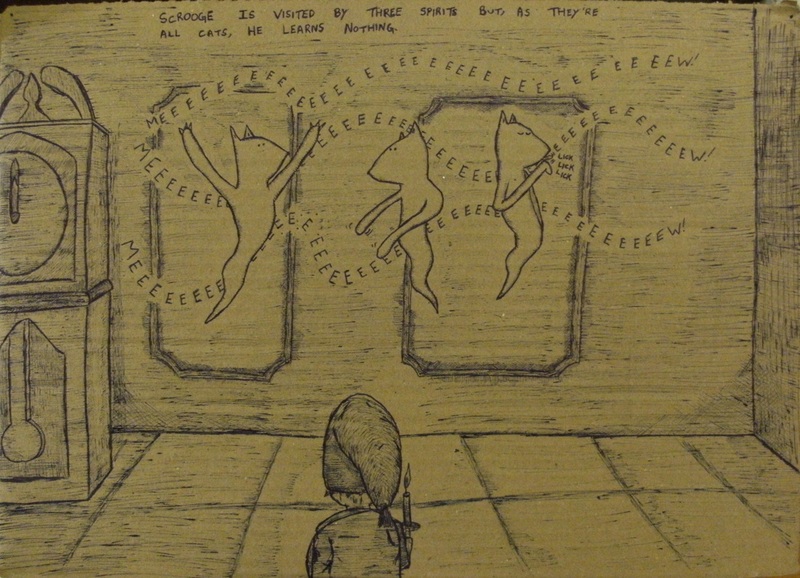 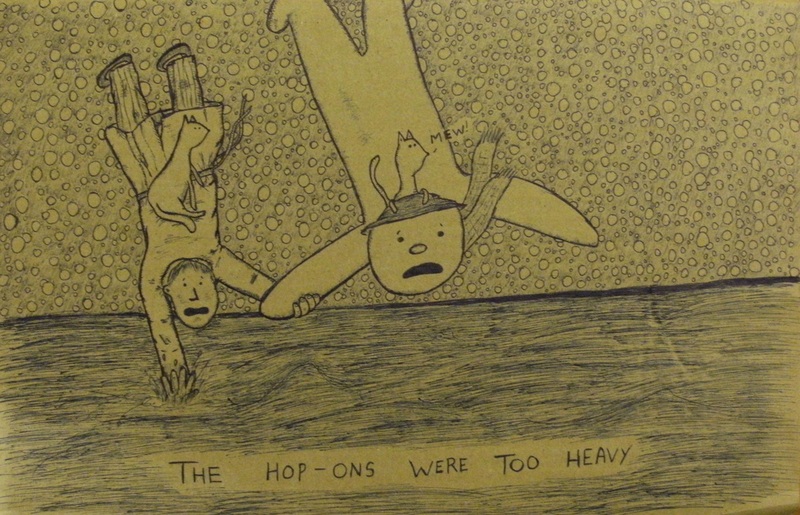 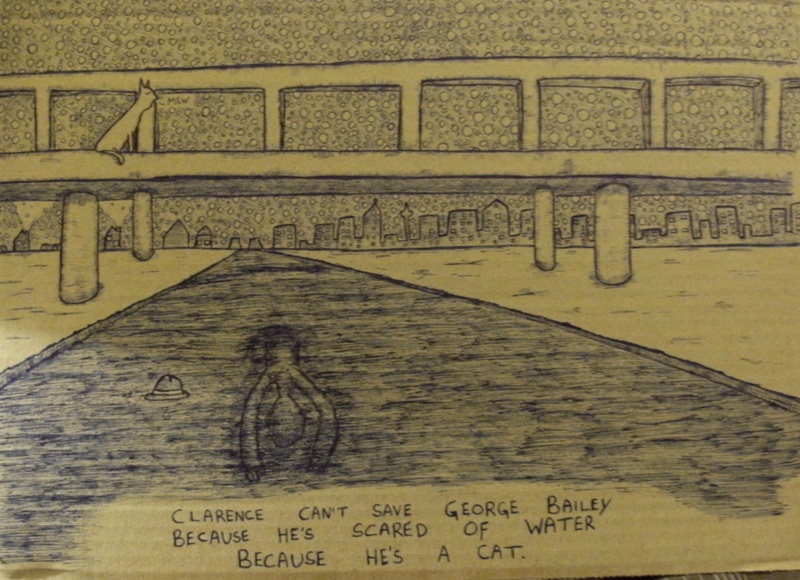 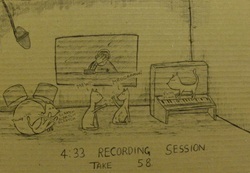 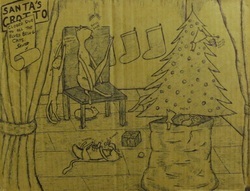 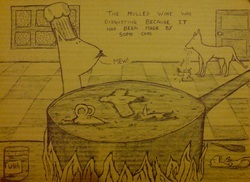 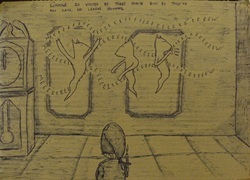 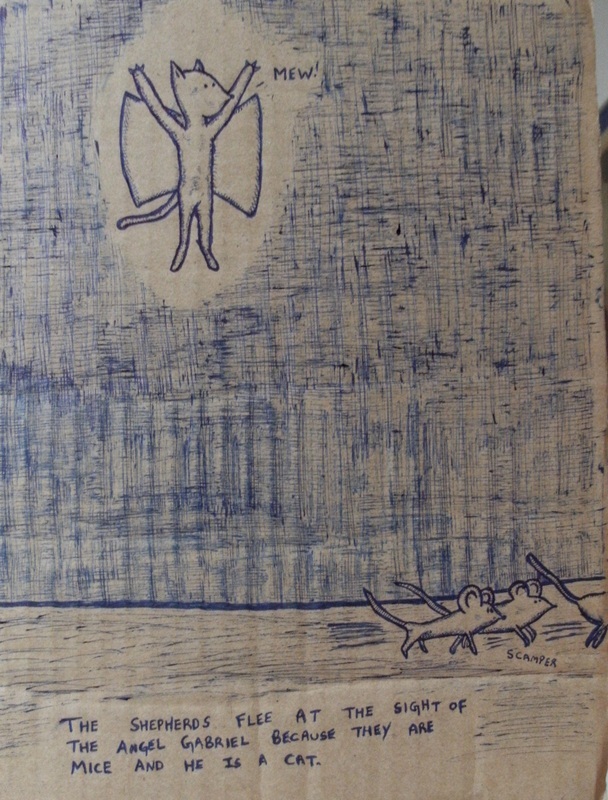 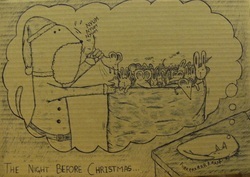 These were drawn on large strips of cardboard using half a box of blue Pilot G-3 pens and a whole box of Pilot G-2 pens. 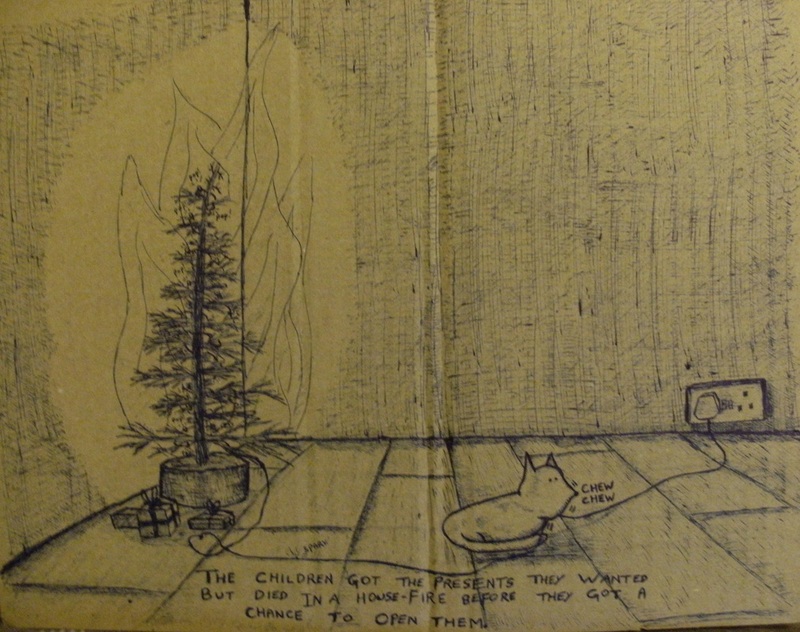 Pictures of the drawings were then uploaded onto Twitter; the first person to respond requested each drawing received it for free, with the sole proviso that they donated an amount of their choice to a charity of their choice. 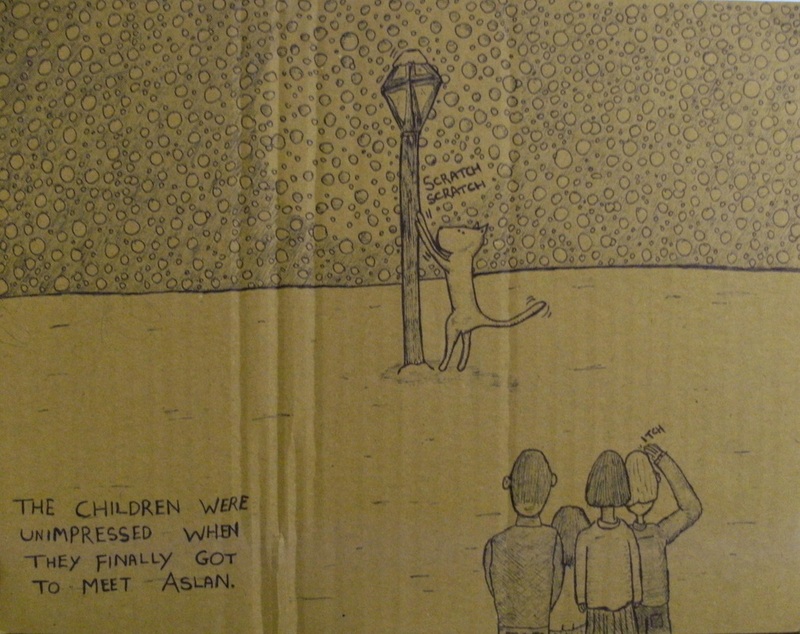 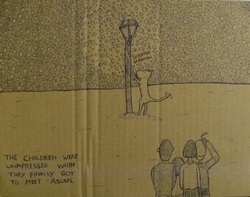 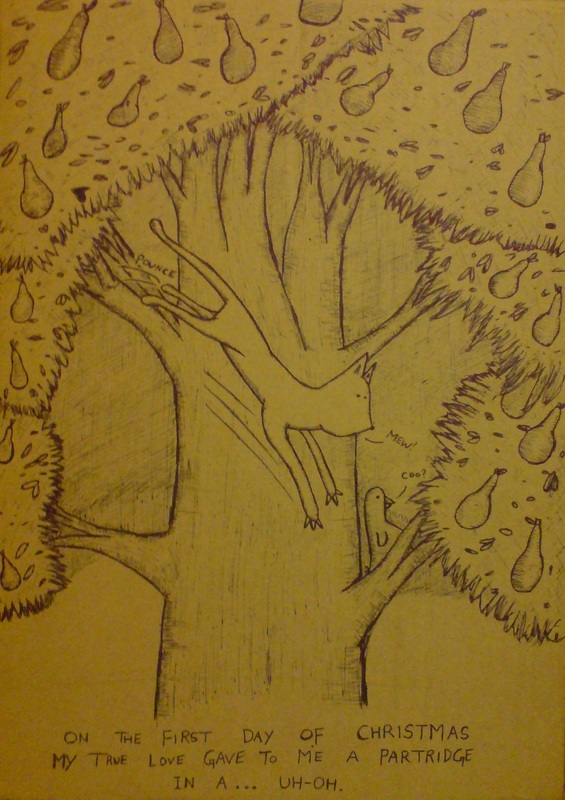 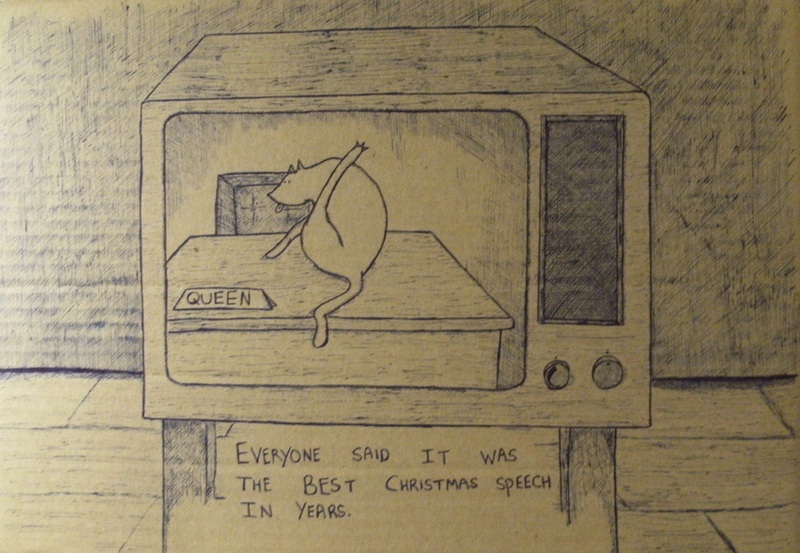 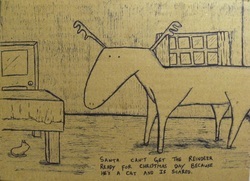 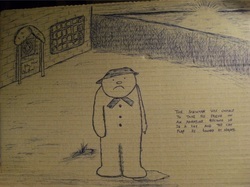 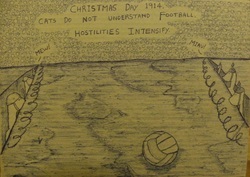 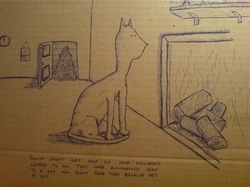 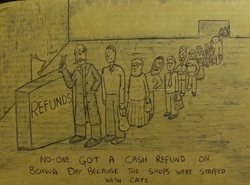 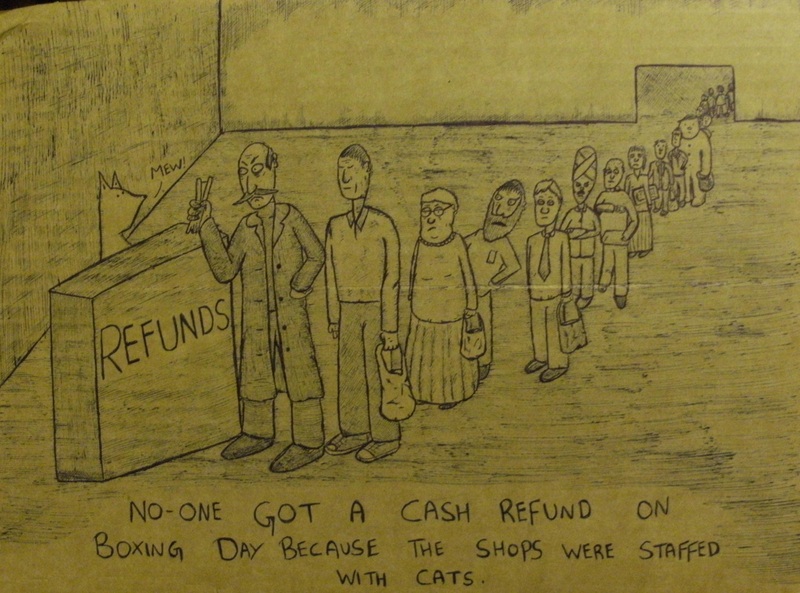 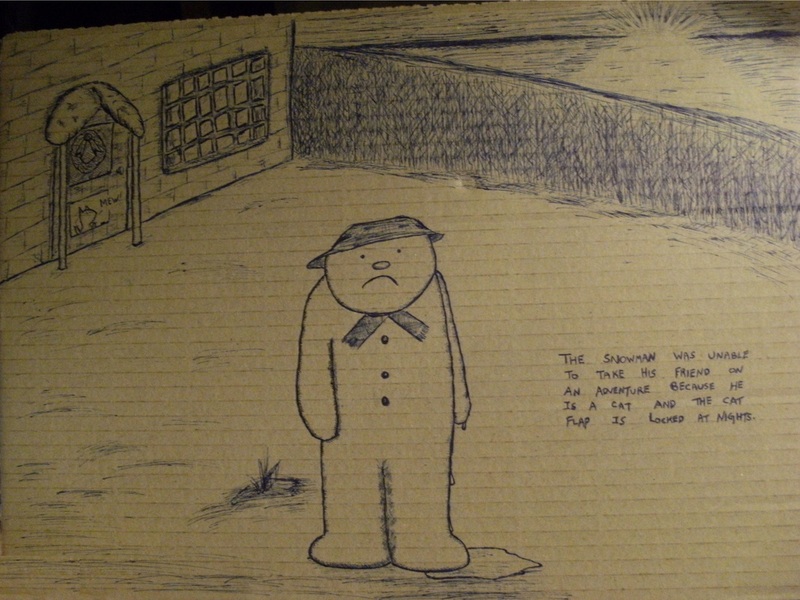 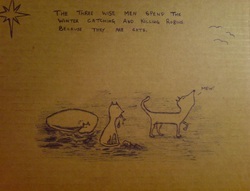 The treacherous weather conditions meant that many never received their Advent Cat-lendar drawings. 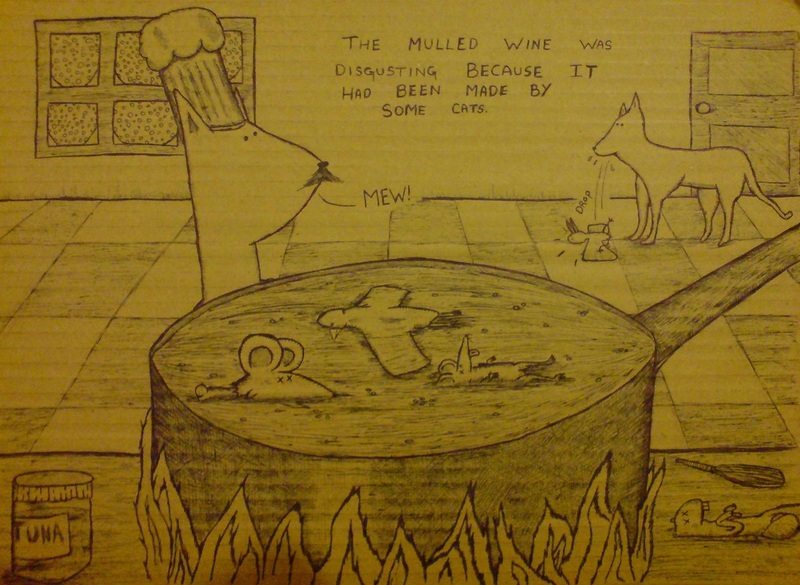 And that's the story of how I came to ruin the Christmases of a number of strangers on the internet. 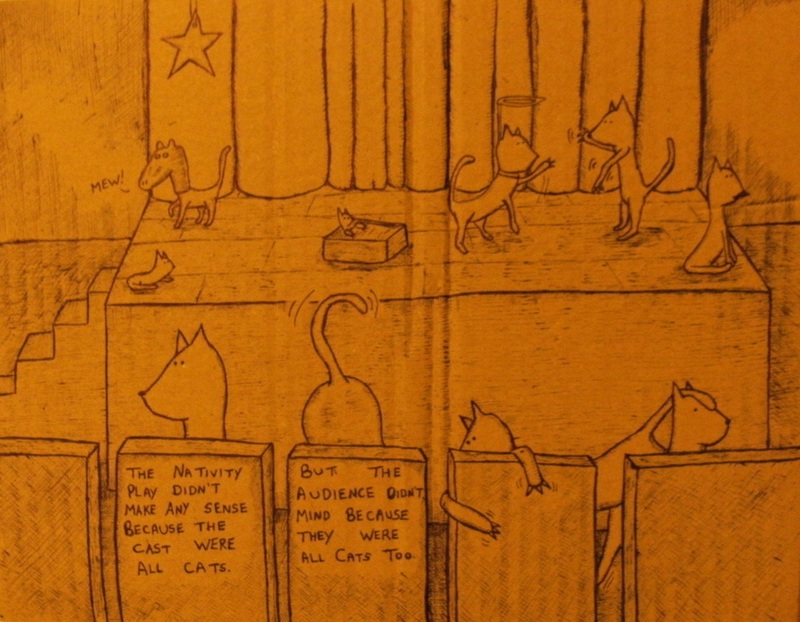 Click on each cat if you want a better look. 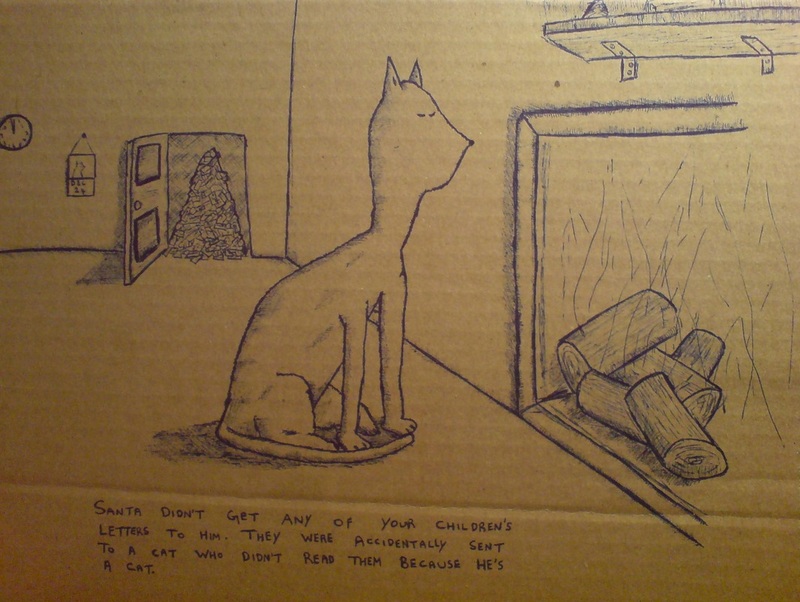 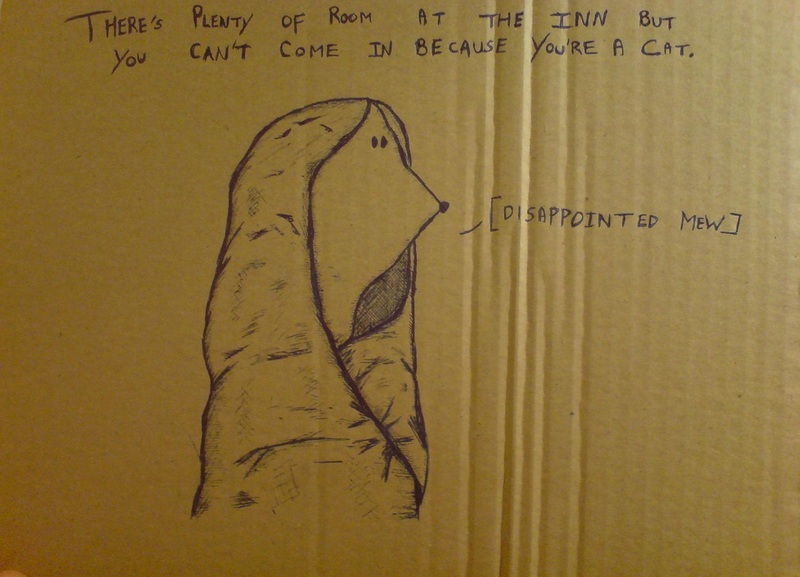 Click here to see more cats.